The couple were having a southwestern wedding at the Desert Botanical Gardens in Phoenix, Arizona. 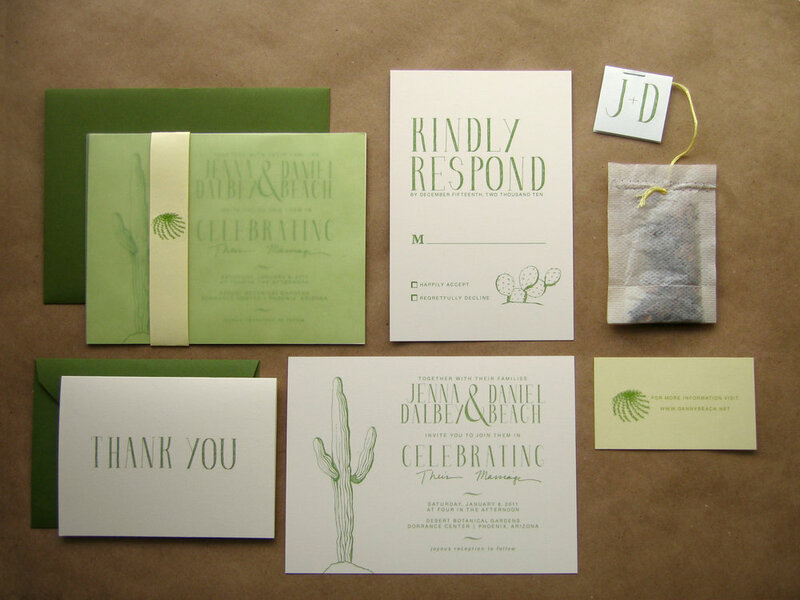 Package includes invites and envelopes, RSVP cards, return address stamp, thank you cards, tea bags, and table numbers. 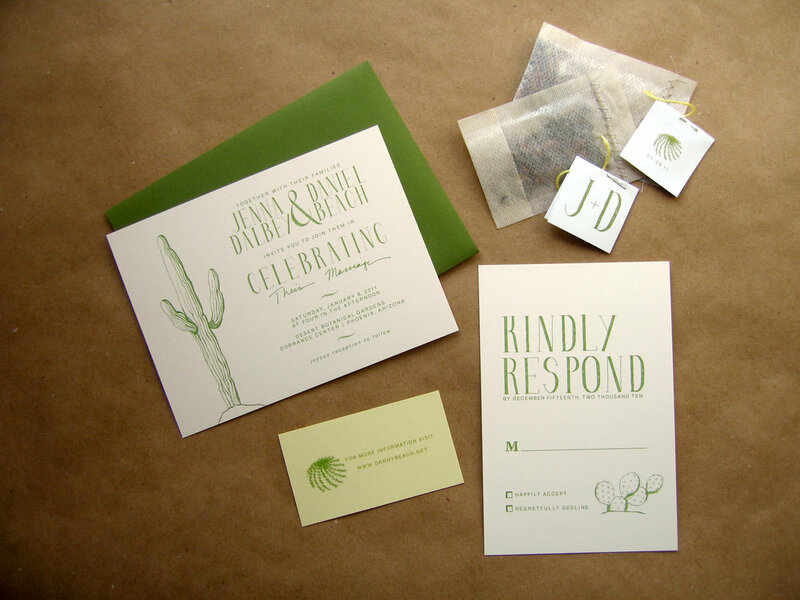 Cards were printed digitally and packaged with green vellum and belly band.